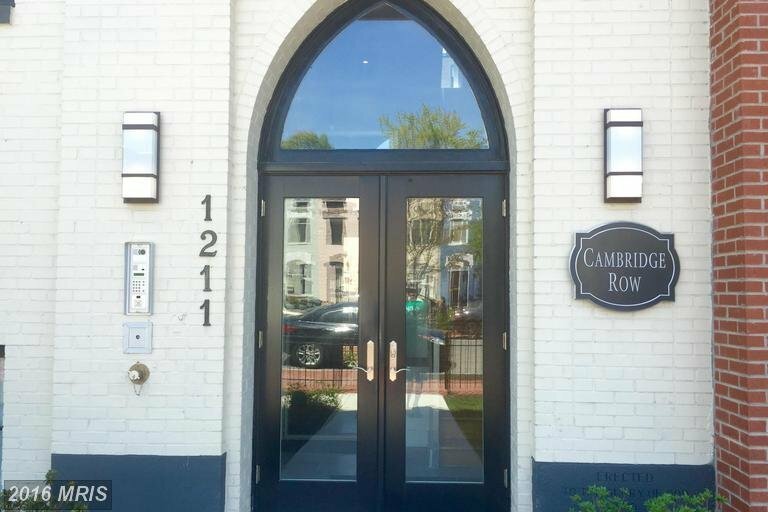 Cambridge Row Condo | Transportation & Location: The Cambridge Row Condos are located on G St SE between 12th and 13th Streets SE. The closest Metro is Potomac Ave Station, on the Blue, Orange, and Silver Lines. The nearest grocery store is the Harris Teeter at 1350 Potomac Ave SE. NEW PRICE! PIED-A-TERRE CONDO UNIT STEPS FROM METRO, MENUS AND MORE! GOURMET KITCHEN, FULL-SIZED BATH, HIGH CEILINGS, HARDWOOD FLOORS, LIGHT-FILLED! PROFESSIONALLY MANAGED BOUTIQUE BUILDING WITH LOW FEE AND HIGH VALUE! ROOFTOP DECK WITH AMAZING VIEWS, TUCKED BETWEEN EASTERN MARKET AND POTOMAC AVENUE METRO STATIONS, TRADER JOES AND HARRIS TEETER, AN ENVIABLE LOCATION! PET FRIENDLY TOO! Also known as 1209 G St SE Condos, 1211 G St SE Condos, Cambridge Row DC. The Cambridge Row Condominium is located at 1209 & 1211 G St SE Washington, DC 20002.